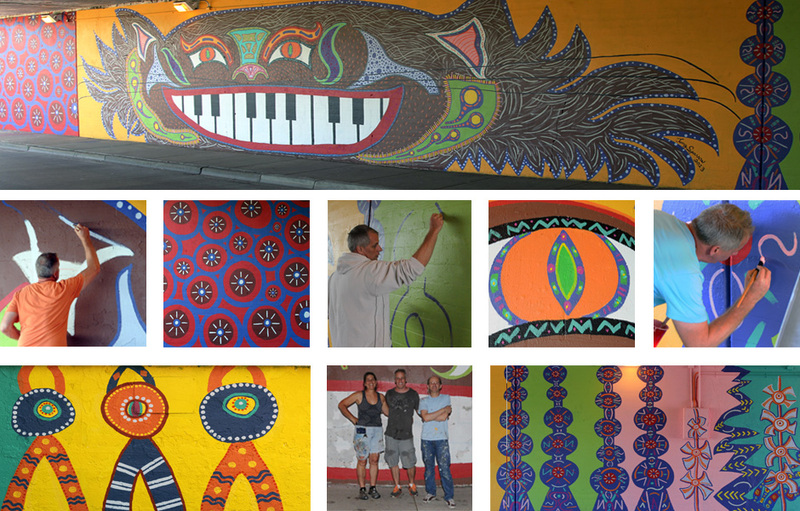 Awarded by Chicago’s 45th Ward’s Arts Advisory Council I executed this mural in the spring of 2013. Based off of an original painting of mine, the Hep Cat mural is on Cicero Avenue at the Union Pacific underpass just past Lawrence at the cross street of Gunnison. Thanks to 45th Ward’s Arts Advisory Council for setting up this unique program for public art.